Google Play store is the store for Android devices. Although Amazon App store and the pre-installed Amazon apps are sufficient for some owners, many users may need to install Google Play Store on Amazon tablet to get more value from their Fire 6, Fire 7, HD 8 or HD 10. 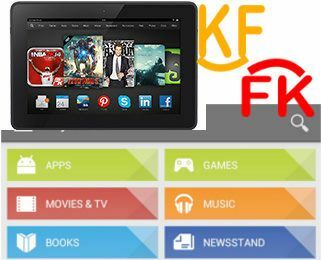 This fire guide explains steps of installing Google Play Store on Amazon Fire tablet, and show you how to download and install the 4 correct APK files. This guide applies to all Amazon fire tablets with Fore OS 5 or newer. So, you can follow this guide to install Google Play Store on Amazon fire tablets including Fire 6, Fire 7, Fire HD 8 and Fire HD 10 from 4th gen to 8th gen, including the Kids edition. Why do I need to manually install Google Play Store on Amazon fire tablet? In a nutshell, Amazon tablet is an Android tablet. 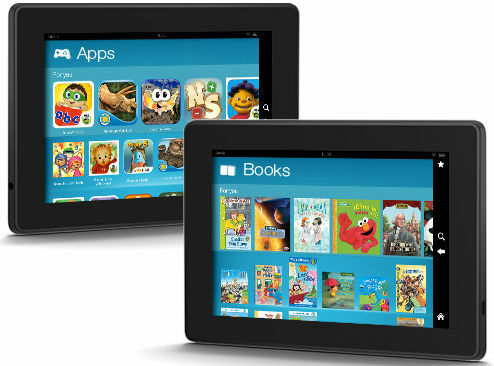 Fire OS in Amazon tablet is based on Android. In the past, Amazon tried very hard to make it difficult to install Google Play store on the Fire tablet. But since Fire OS 5 (corresponds to Android Lollipop 5.1), Amazon apparently stopped the efforts. But you should not expect Google Play store or any Google services on Amazon products: they are direct competitors on all fronts: Amazon Appstore vs Google Play store, Amazon Fire TV vs Google Chromecast, Amazon Echo vs Google Home, Amazon Video vs Google Play TV movies + YouTube Prime, Amazon Cloud vs Google Cloud …. For Fire Tablet 4th gen to 8th gen (Fire HD 7, Fire HD 8 and Fire HD 10), you may check this guide to find out how to install Google Play Store directly on the tablet. Some links to APK files in this post were broken. Please use this guide if you want to install Google Play store or use any Google services on your Amazon Fire tablet. Update (2016): What works and what doesn’t when set up a Google account on Amazon Fire tablet? If you have own the current generation (5th) of Fire tablet, you can use Google Play store as well. Just install the 4APK files, and run one ADB command. Everything should work, including the Google Play store. You can update Play services and all apps through the Play store. For Chromecast users, screencast (screen mirroring) also works!! Yes, the $50 fire tablet can run Google Play store and almost all Google apps without issues. Almost all Google apps except Google Play store, work on all previous generation of Kindle Fire tablets. This is very likely blocked by Amazon. But you can install Google apps APK files directly. GMail, YouTube,… almost all Google apps should work after you install the 4 APK files and run one ADB command. 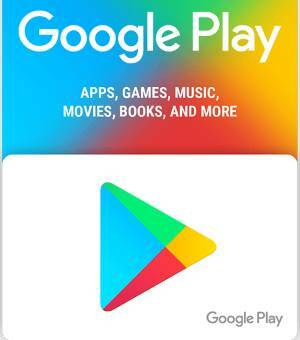 In this case, although Google Play store does not work on these tablets, you still need to install it because some other Google apps require it. Android developer options give app developers a lot of options to test the app under various simulated conditions. But for normal users, sometimes, you may also need some features that are under developer options. For example, when you need run an ADB (Android Debug Bridge) command to backup the phone, or take lots of screenshots of Amazon Fire tablet from your PC (if you just want to take a few, you can do this on the tablet with Power and volume up button as illustrated in this guide), you need turn on USB Debugging (enable ADB). But it is very easy to enable and access developer options on Amazon Fire tablet. In this guide, Fire tablet refers to Fire HD, Kindle Fire HD, Fire HDX and Kindle Fire HDX. 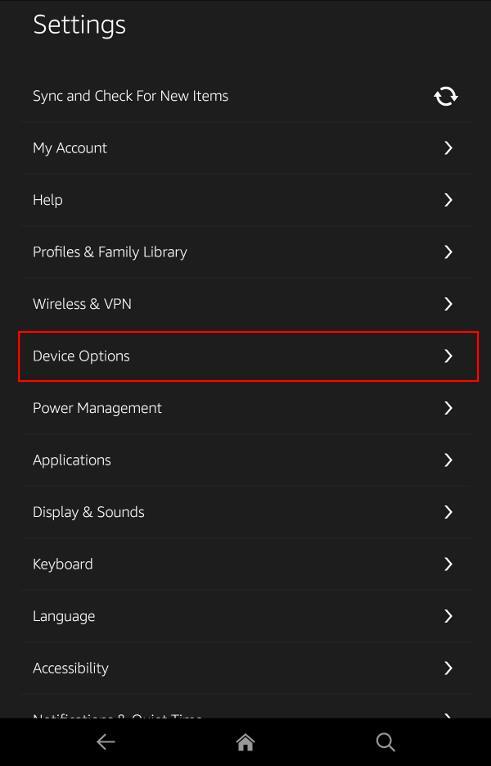 This guide will show you how to enable and access developer options on Amazon Fire tablet, and how to disable and hide the developer options on Amazon Fire tablet (after you enabling them). How to enable and access developer options on Amazon Fire tablet? In your Amazon Fire tablet, go to Settings by swiping down from the status bar (top of the screen) or tap Settings app in the app drawer. Then tap Device Options as shown below. In the Device Options page, tap the serial number field 7 times. 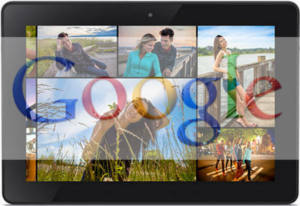 You are probably playing around with the new Kindle Fire HDX 7 or Kindle Fire HDX 8.9. But do you know you can get even more from these incredibly affordable tablets? The Mayday button is a revolutionary live tech support system. Whenever you need help, you can get face-to-face support without visiting any service centers. You can get the live support at anytime and just at anywhere by tapping the Mayday button. The live (real-time) tech support is through on-screen video and chat. The Amazon experts (just a better name of technicians) can work on your tablet directly. He or she can also demonstrate some functions on your screen. If you want, they can directly change the settings for you. They can also answer some other questions related to Amazon products or offering. The Mayday button is extremely useful for your grandma and others who are not so familiar with tablets.